While I won't begin to present myself as some sort of authority on the subject of blues music, I do consider myself a fan that's familiar enough to recognize good blues music when I hear it. The sound has been a part of my life for as long as I can recall. In fact, some of my sweetest memories of growing up in the Carolinas are connected to songs by artists like Little Milton, Bobby Blue Bland and pretty much anything and everything released by Malaco Records. So, while I'm by no means an expert on the subject, I'll concede that I do know a lil' bit. 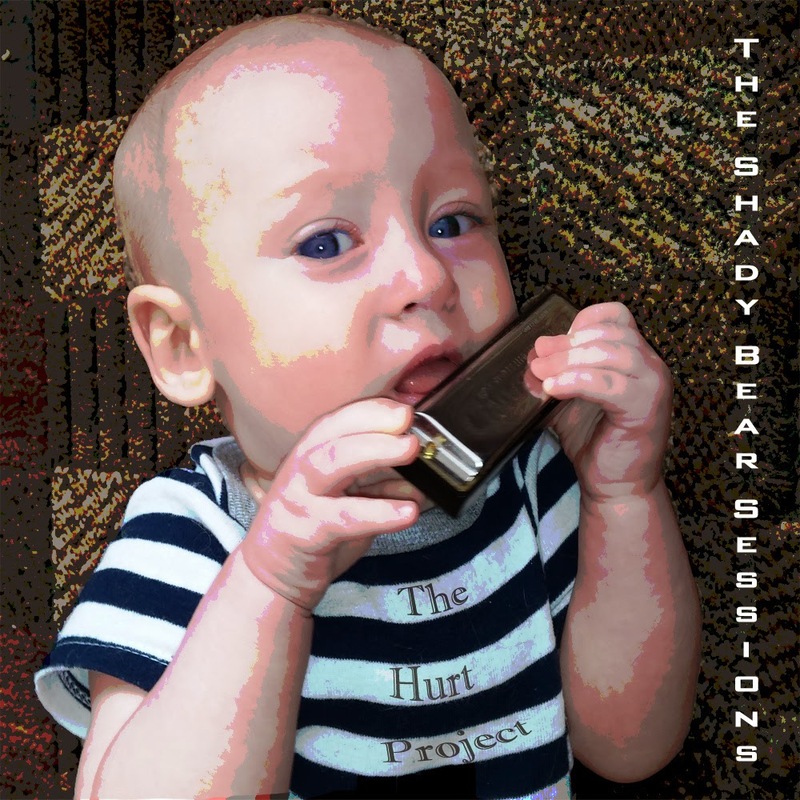 Take this new The Shady Bear Sessions single/EP from the group The Hurt Project for example. I know that it's a fantastic slice of modern electric blues as served by dedicated students of the craft. The set opens with an amazing original number entitled "Up In Smoke" that pits lead singer Jasmin Lloyd's beautifully clear and powerful vocals against a smoky backdrop filled with lamenting harmonica notes, dusty drums and fiery electric guitar riffs that almost steals the show. After blowing the listener away with such a soul-stirring performance, the band ramp things up with a raw-edged heater entitled "Hello Misery". Everything about this track is hitting, from Jasmin Lloyd's rousing vocals that grow larger and larger as the track progresses, to the bands impassioned playing when their leading lady takes a break from the spotlight (peep the interplay between guitarist Marlon Hurt and drummer Paul Wohlmaker at the 2:16 mark). This is just good music, from start to finish and I truly can't wait to hear more from this band. Check out The Hurt Project's The Shady Bear Sessions below to get your weekly soul and blues music fix. Dig the sounds.